Move over Burj Al Arab, you’ve got competition. 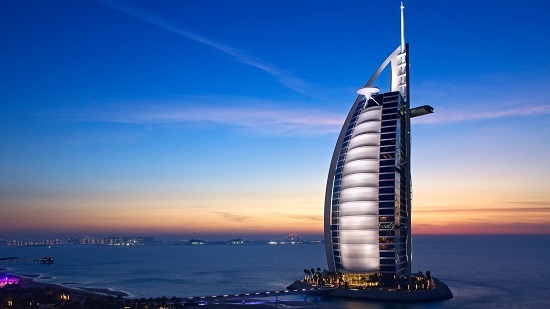 Dubai isn’t short of five – or, in the case of the iconic sail-shaped structure, seven – star hotels, but a newcomer claims it’ll take the title of the city’s most expensive accommodation. The Bulgari Resort and Residences, which is set to open on Jumeira Bay Island later this year, will become the emirate’s priciest hotel according to a top executive from the luxury brand. “You can count on the fact that they [the hotel rates] will be by far the highest in the market,” Bulgari’s executive vice president Silvio Ursini told Gulf Business, though he didn’t reveal exactly what the price will be. 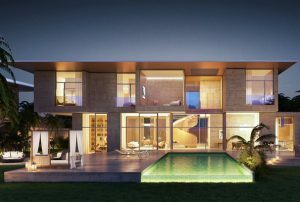 When it comes to the residences, Ursini said they’ll be pricier than those on the Palm Jumeirah, describing the whole concept as the “most ambitious project ever launched in the luxury world”. So what will be on offer to justify the room rate? Well, the 1.7-million-square-foot development is set to include a range of top-notch destinations, such as an exclusive sushi restaurant that can only seat eight diners. 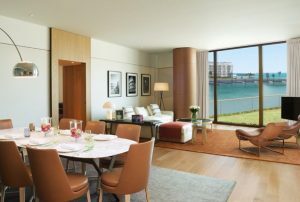 There’ll also be six Bulgari-branded restaurants dotted around the complex’s marina, along with 100 hotel rooms, 20 villas with private pools and 165 serviced one- to three-bed apartments. Need more space? You’ll also find eight four-bed penthouses, and 15 mansions with up to six bedrooms. To take the crown of Dubai’s most expensive hotel, the room rate would have to be pricier than the seven-star Burj Al Arab, which charges from Dhs10,450 for a deluxe room, Gulf Business reports. So say all the Bulgari’s 100 hotel rooms were booked up at, hypothetically, Dhs11,000 a night, they’re looking at Dhs1.1 million an evening in rates for the hotel alone. If you snap up one of the residences, you’ll also get a 24-hour concierge, pools and fitness facilities, lush gardens, and complimentary membership to the world’s first Bulgari Marina and Yacht club (which will sit along the complex’s promenade).